Information about the West Vancouver, 2014 General Election can be found on the municipal website, here. NOTE: Information on this election web page is provided for ease of reference. It is not intended to provide complete and comprehensive election information and is not a substitution for the rules and regulations regarding general local elections in the Local Government Act, School Act, Local Elections Campaign Financing Act, or any other applicable statute. For key dates, please click here. 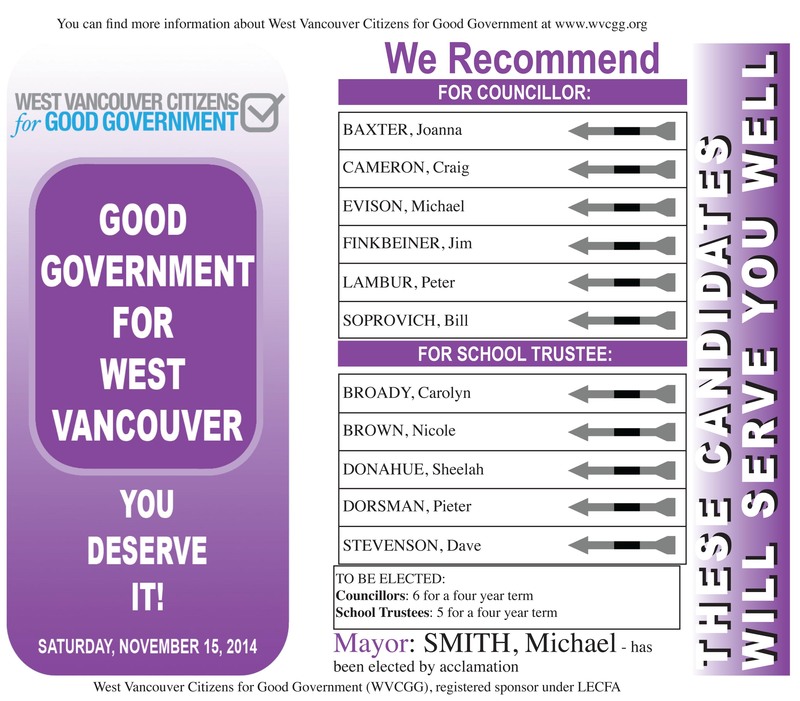 Authorized by West Vancouver Citizens for Good Government (WVCGG), registered sponsor under LECFA.